A tiny swarm descended upon Yellow Springs on Nonstop’s Community Day, on March 25th. The bees, as they call themselves, are members of the Beehive Collective, a political media-arts collective based out of Maine. Their mission is to “cross-pollinate the grassroots,” touring their large-scale graphic campaigns that intricately weave together the environmental and social aspects of issues from around the globe. With a focus on horizontal organizing, consensus based decision making, and communal living, they had a lot to share with the Nonstop community. The giant banner they were currently touring focused on MTR, or mountain top removal, a modern form of coal mining that uses heavy machinery to blast away the entire mountain top. This mechanized process exposes a seam of coal that is then scraped away. In addition, this method requires the rock and debris that once was a mountain to be scraped off and dumped into the surrounding valley, decimating one of the most bio-diverse places in the world. In addition, it negatively affects all communities in its wake, destroying their land and forests, toxifying the water and soil, and continuing to weaken a historically exploited and economically depressed region. The complex graphic was compiled of several large sections depicting different aspects of this involved issue. These included a social and environmental history of Appalachia, the changes in industrial and mining process, the effects of mining and coal consumption locally and globally, and a picture of current resistance and a vision of a healthy Appalachia. Rather than use images of miners, coal companies, and other human constituencies, the posters make use of plants and animals from the bioregion to play these roles. The story becomes even more visibly connected to the history of the place they are dealing with. The bees do much of their research on site, and have spent months traveling Appalachia to gather a picture that is relevant and real from the people that are living with and fighting the socially and environmentally destructive practice of mountain top removal. At the April 7th COPAS (Community Organizing, Participation, Action and Service) Community Meeting, Nonsters reflected on organizing and about our experience with the bees. Meghan Pergrem, current Nonstop Co-Community Manager, reflected on their visual presence helping our community to understand what they were doing. Chelsea Martens, our other Co-Community Manager, appreciated their use of those visuals to reduce reliance on a specific language and make the material accessible to a wider audience, which the bees covered in their presentation. The community’s discussion about our lessons from the Beehive included observations about their skills in communication, methods of research and organization, their process of presentation and education, and the similarities and joint struggles between our two communities with regards to commitment, transience, individual and collective needs, and the specific struggles of communal living and working. This illustrated a connection and a depth of learning and conversation that has stayed with this community since the bees presented here. While we were sad to see them buzz off, we’ve clearly been cross-pollinated. Inspired by the Bees, Nonsters work on a mural of their own. “Toxic Culture.” Steve Lawry’s infamous phrase is now part of the vocabulary of virtually all Antiochians. 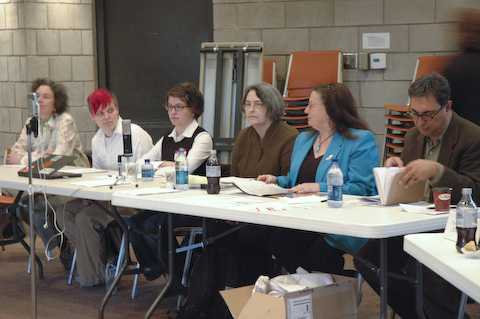 The year before the Antioch University Board of Trustees (UBoT) resolved to close the college, the key political issue on campus and the polemic that reached alumni revolved around the question of Toxic Culture–whether there was one, how it manifested itself, how to fix it or how to debunk its myth. 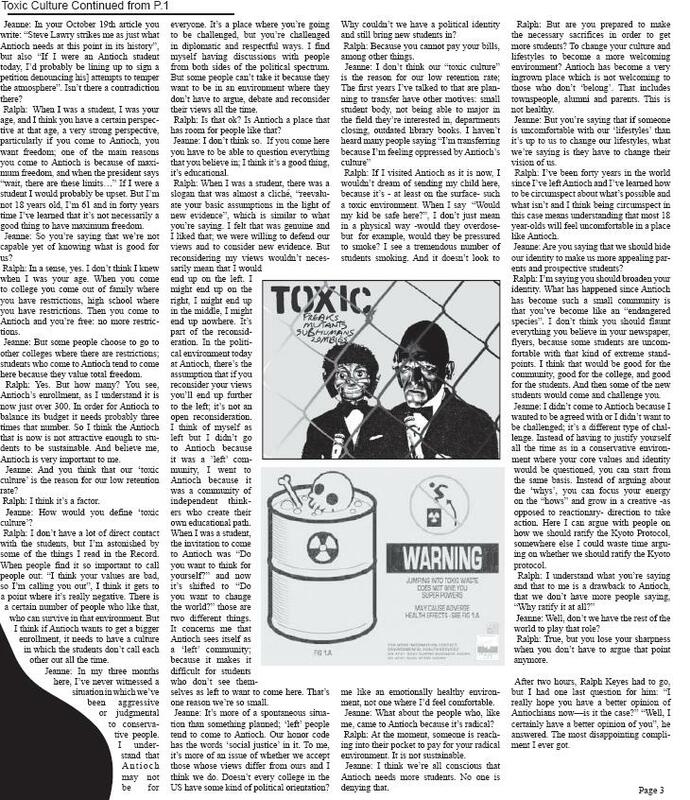 To alumni whose only contact with the community in years had been filtered through Media and University intermediaries, “toxic culture” meant a steady decline in academic excellence and increased political narrowness from their time at Antioch onwards; to conservative reporters, “toxic culture” came to be the perfect excuse to write diatribes against political correctness at liberal arts colleges; and to many observers “toxic culture” was a perfect shortcut to explaining how Antioch College had found itself in such an incomprehensibly dire situation: Antioch students were narrow-minded, unstable, out of control–they chased away new students, driving down retention and preventing Antioch from achieving financial stability. The toxic culture narrative made sense–and it was useful. 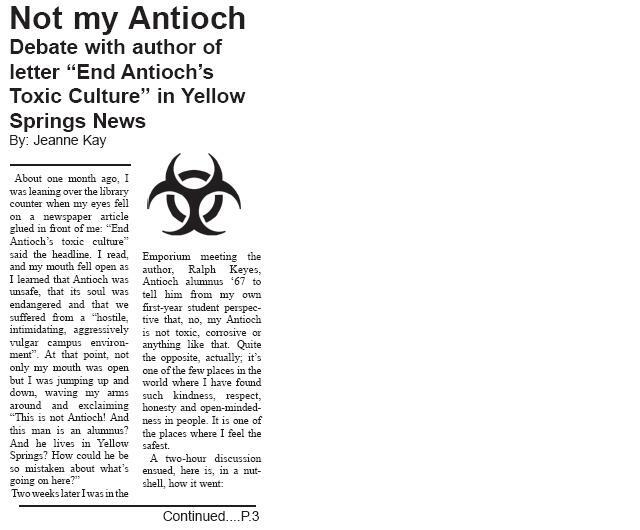 On Monday, March 2nd 2009, The Antioch Papers (www.theantiochpapers.org) published previously unreleased confidential documents that shed light on the workings behind the toxic culture narrative. 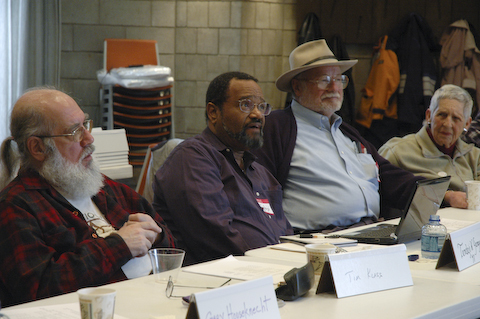 Through them we learn that Antioch College President Steve Lawry (2005-2007) considered himself engaged in a full-fledged “culture war”–with the full mandate and support of the UBoT. The college president goes on to pinpoint “substance abuse and a tolerance within the student community for it” as yet another cultural problem needing to be remedied. Lawry’s decision to expel three students from the entering class of 2006 a few days after orientation is an example of his attempt to remedy to what he perceived as a major issue for the campus. 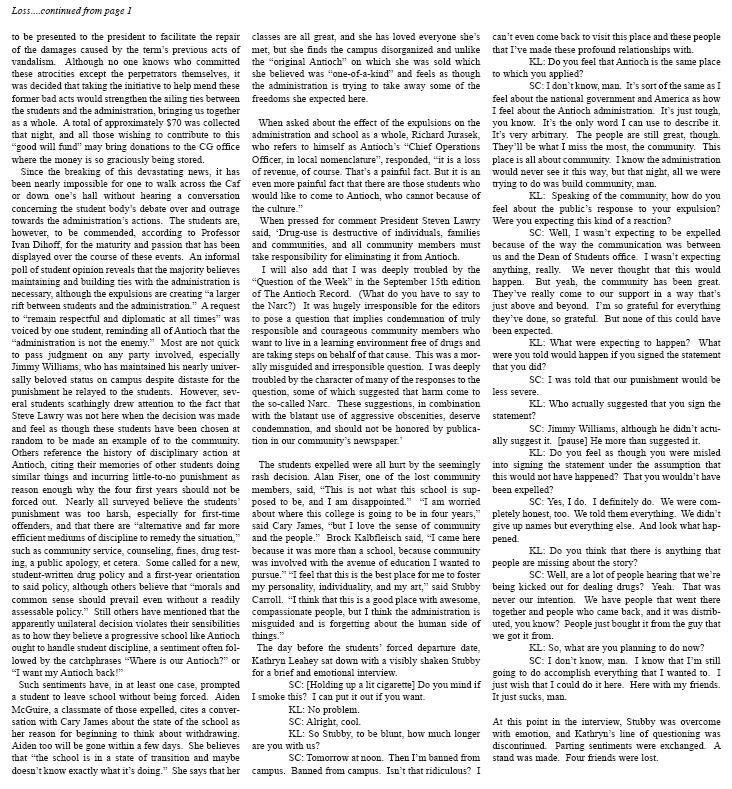 Lawry further advances his argument by arguing that “the intellectual and learning environment has over the last two decades been diminished, in my view, through admission of large numbers of students with weak academic backgrounds.” To the college president, this trend in decline makes the Antioch’s self-managed education system as inadapted. The system of narrative evaluations, moreover, “can fail to hold accountable others for unsatisfactory progress,” Lawry writes. Lawry thus set out to renew the culture by changing the way in which was portrayed to prospective students. 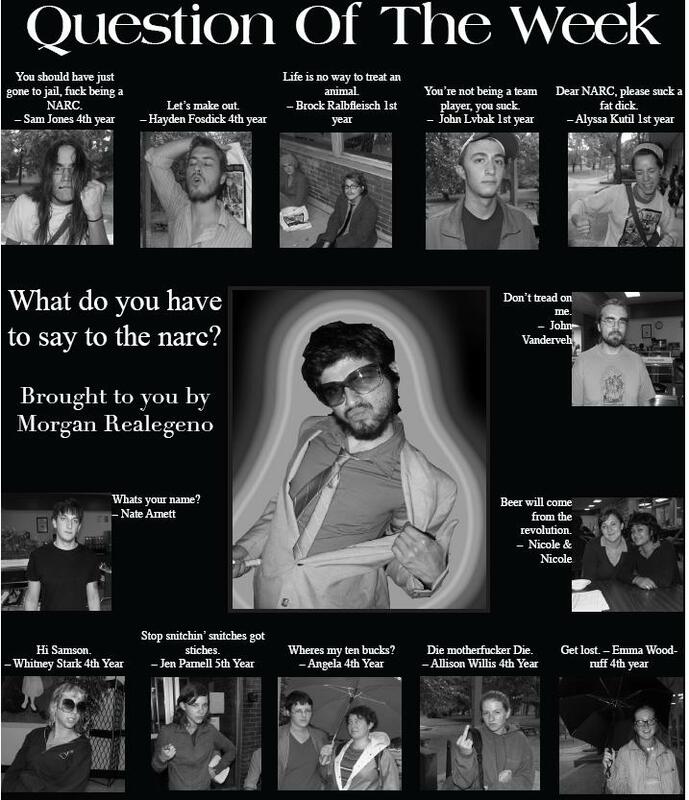 The Board contracted an independent agency in 2005 to make new recruitment materials that would present a picture of the college that a different population of college students would identify with. Notably, the college’s tradition of shared governance was increasingly downplayed. 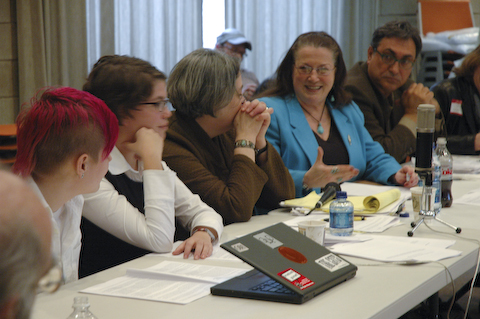 Professor Jean Gregorek recalls changes on the college’s website in particular; “the portion of the website describing community engagement –under the caption ‘you have a voice,’ ironically enough–was dramatically revised at Steve’s direction to eliminate references to student participation in college governance,” she says. RESOLVED, that the Board of Trustees of Antioch University supports president Steven Lawry’s vision for Antioch College based on mutual respect, intellectual freedom and open inquiry [as envisioned by the Renewal Plan] within the University system with the same shared values. 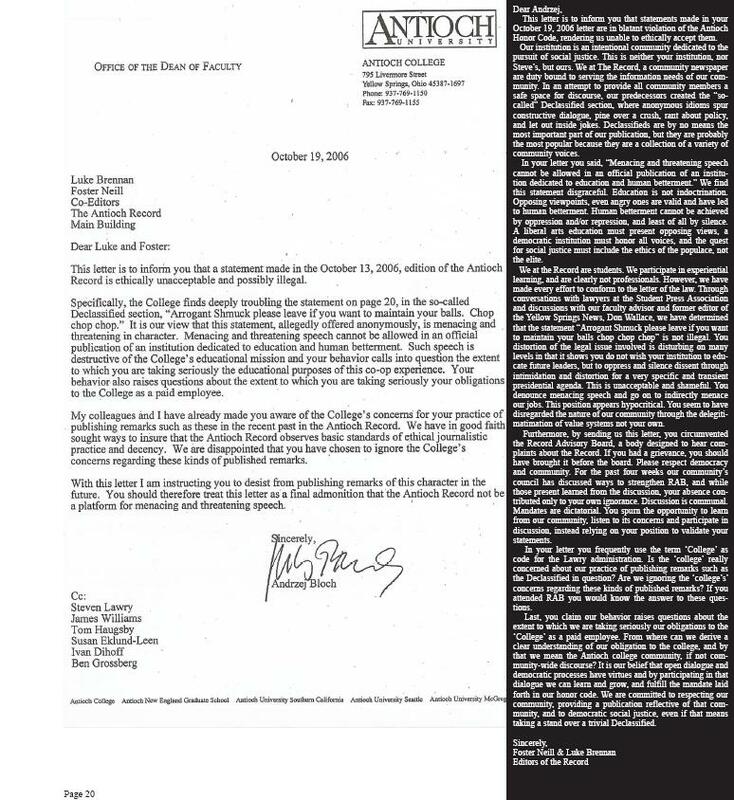 The “mutual respect, intellectual freedom and open inquiry” tryptych is used consistently through several documents–from Lawry’s report to the February 2007 UBoT board meeting. 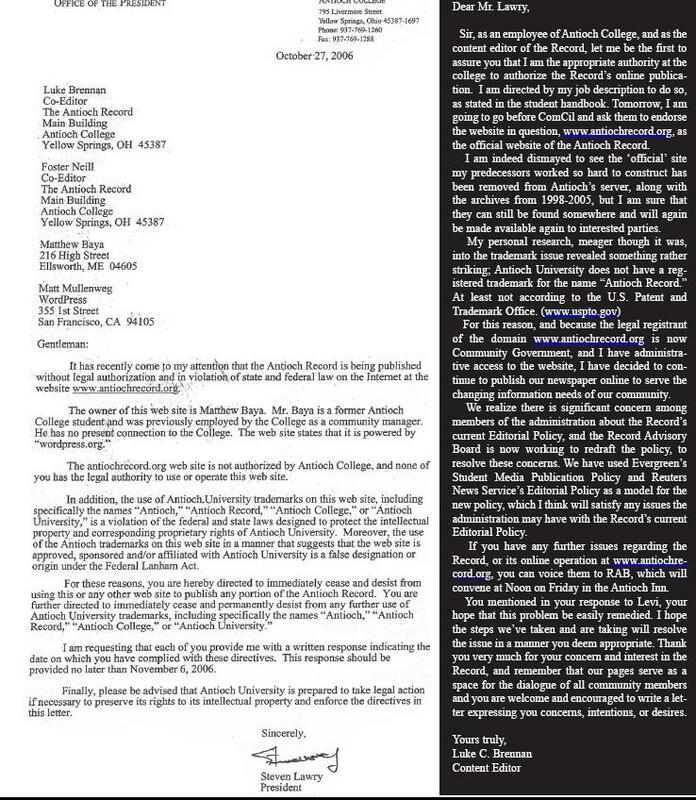 In a private letter sent to Steve Lawry on October 7th 2006, Professor Bob Devine provides an interpretation of the grounds for the UBoT’s support for Lawry’s culture war: “The origins of the mandate to “clean up the culture” of the College are fairly clear,” he writes; “Between those on the Board who are still angry about the ’60s and ’70s (not just as they played out at Antioch, but in a much broader cultural sense), those younger Board members who experienced the symptoms, among students, of several years of autocratic, insensitive and ineffective leadership, and those who have critically limited experience with 18-year olds (like yourself) and consequently experience the generation gap as a constant affront, it’s no mystery how such perspectives might coalesce to forge a mandate. In my view it’s a misguided mandate, for the very reason that it conflates symptoms with causes. 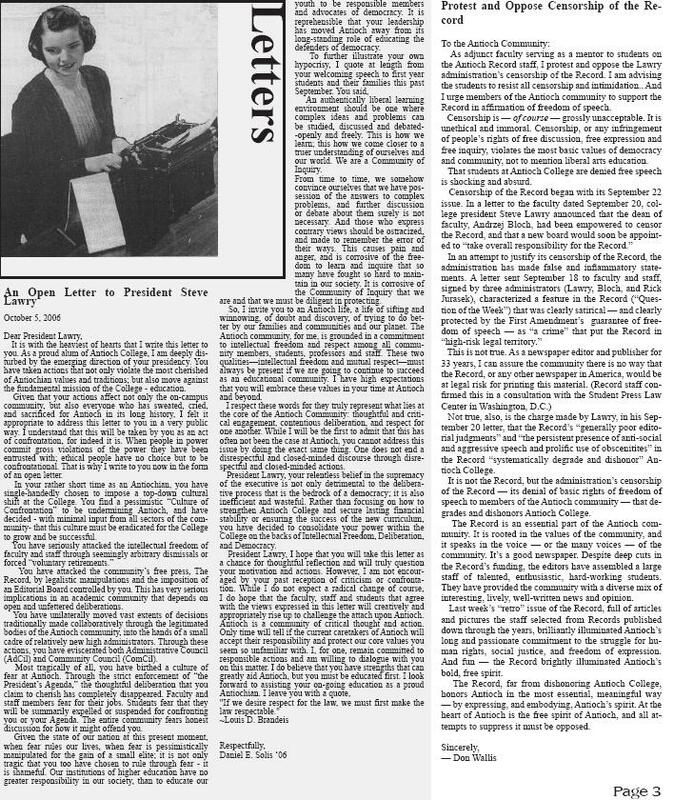 Several faculty and students wrote open and personal letters to Steve Lawry, characterizing the president’s public blaming of the community as “yet another hit in the stomach” during already traumatic times. 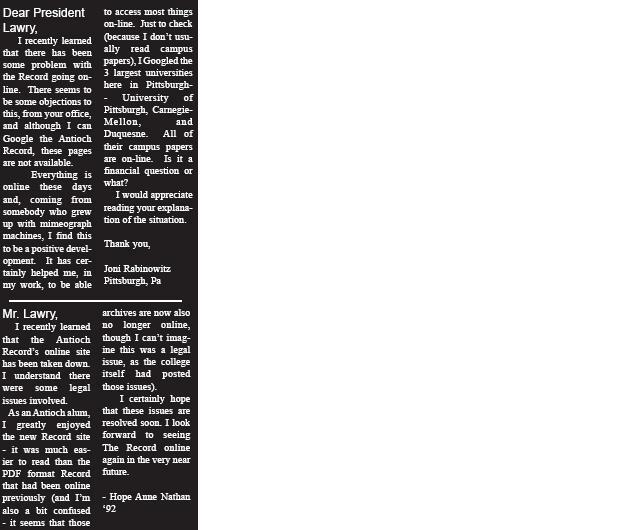 Fall 2006: Luke Brennan and Foster Neill are editors of the Antioch Record. The Record: Could you both define your role in the process leading to the definitive agreement? Lee what is your role? Lee Morgan: Technically I’m the chair of the board ProTem, that’s my role, but I was nominated by the Alumni Association Board of Directors to represent alumni on the Task Force to negotiate the LOI. What are you doing during the 90 day period, what does your schedule look like? Lee: I’m trying to raise fifteen million dollars and we have to hammer out the definitive agreement and there are problems with the definitive agreements. I made some mistakes in the LOI one of which is mine, so I’ll fess up… which is the reversion clause in the LOI. You said at the Seattle meeting that this was a deal breaker? Lee: It is, for me it is, now Matthew might talk me out it but right now to me it’s a deal breaker. Is this being worked out, has the university agreed to withdraw it? Lee: It’s not exactly an all or nothing situation it appears that there are grades of possibilities. So, the question was if we try to save and revive the college and fail what happens. So, it’s trying to guess hat the outcome would be if we failed. The university definitely wants the name back, I don’t think they’ll bend on that, and I don’t fault for that. The question really is the physical assets and the issue that we have is (I’m talking too much this is very dangerous) we have to have clear title to the land, so we can borrow against it, so we can buy other land, we can sell land, we can be creative about joint ventures with the village and not have issues where we have to go to the university every time we want to do something. I don’t think we can finance the institution if we can’t get clear title and the way that reversion clause was written, it was almost as though the university had a lean on the real estate and the assets and I don’t think that was the intent, but it kinda came out that way and they don’t seem to be taking a very hard line. You’ve already talked to the university about this? Lee: Before we signed the LOI we already had realized that that would be a problem area. So they know about it and I think we can work it out; it’s just that i screwed up. My recollection is that I was the one who suggested the reversion clause in the first place and then I’m the one who figured out OOPSY! thats a mistake. Matt Derr: With a reversion clause, I think, is something that the [University] lawyers would’ve inserted at some point. Matt: The reality is with the credit markets shut down, it’s not that much of an issue for us tomorrow, as it is for the people that will come after us years from now in the next five years because it’s actually linked to the accreditation of the college. But the University’s pledge that their interest is in making the college viable and anything that doesn’t make the college viable or threatens that viability is a problem. At least right now, they have expressed a willingness so that in the end their interests are protected but we can do what we need to do to rebuild the college. What work needs to be accomplished during the 90- now 60-day period of, mostly fundraising, but what else how are you working on the definitive agreement? Matt: I think their are two levels here, we’ve been focused on the University for a very long time, and now we have a board ProTem that has its own standards and its own agenda. So the fundraising really is not about meeting what the university wants but meeting our own standard for what we think is a healthy goal and allows the college to come back in the way that we want it to, so fundraising! Fundraising! Fundraising! Absolutely. The definitive agreement process is defined by the taskforce working together and the lawyers working together and that’s moving along its a sort of boxed in process that has to happen. We’re ambitious in wanting to finish it in 90-days but one of the things that we do know is that at the 45-day mark, half way through, we’re gonna give a report to the community about how far we’ve gotten and where we see any challenges that may exist. The 21st of April is the 90th day, so you can figure out where the 45th day is, I think it’s the 13th. Lee: It was march 13th, which is Friday the 13th, and we decided not to do it on Friday the 13th. [laughter] We’re not superstitious but just didn’t seemed to be a good omen. Matt: So I think its Monday the 16th of March. Lee: Yeah, thats what we were looking at, I think, tentatively. Matt: Jeanne Kay, can you do that math to make sure we got that date right? Not at this second but I will. [laughs] So, can you give the record an exclusive fundraising update? Matt: Ya know, we can’t, other than to say we think things are moving forward. That’s information we should essentially keep privileged because its part of a whole process of separating the college and the university. Lee: Mathew, I did blurt out a number in Chicago. Lee: And it’s not fair for them to know and not tell Jeanne. The number that I threw out was approximately 8 million. Risa [Grimes] corrected me that it was 7.9 some decimal places but its approximately 8 million. Matt: I can speak to why we wouldn’t share because i think that would be interesting. We want people to be motivated to give because its not about getting to 15 million, its about getting well beyond that. We want to have operational moneys in place so that we can support the college for a few years. So our fear is that because we have this figure that we’ve been talking about in the LOI or related to the LOI that people will feel, “Well thats as much as we need to do”. Well its not, we’ve got a long way to go. Its really gonna require the whole community to support this to make it successful. Two weeks ago Risa [Grimes] said that there was a donor that said that when the 10 million would be reached, he would match it with 5 million. So basically, does that mean that we only have 2 million to fundraise to get to the 15? Matt: Well the donors never agreed to that; we have proposed that. So is it likely that it will happen that way? Lee: We certainly hope so. Lee: And your right, according to that formula we have roughly 2 million to go, that we will then go to that anonymous donor and say okay… are you good for the 5 or not? Thats going to be a big deal. But I want to just emphasize that i agree with Matt one-hundred percent. I think the toughest decision that the board ProTem is gonna have to make, is at the end of the 90 days, do we have enough money to responsibly restart the college? We’ve got a lot of things were doing to make that an intelligent decision. But the University doesn’t drive it, we expect to drive that, cause the ProTem board has no interest in doing something that poorly or failing so the pressure on the fundraising is tense. Can you give an update on the state of accreditation for the college? Matt: Well Francis Horowitz is chairing the group that’s looking at accreditation. It’s important that we get some outside expertise from the North Central Association and from the Ohio Board of Regents, of course. One of the things we’ve done in the last few weeks is we’ve hired Len Clark who’s the former provost Earlham College he comes to us recommended by the GLCA (Great Lakes College Association) to help us create the plan for accreditation. As part of the LOI we have to produce a plan about how we’ll seek accreditation and thats where we are as of today and we’ll start setting up meetings in Chicago and Columbus in the coming month. The plan for accreditation will prob have to include a curriculum plan, right? Matt: We’re not actually building the plan that will be accredited, we’re building a plan to get the accreditation. Matt: So, its an important distinction. The board to a person believes that curriculum comes from faculty. We’re not confused about that, and we have a history here, but there has to be ahead of that a plan which particularly looking at some of financial issues that Antioch has faced recently and its history for accreditation around those issues. Lee: I’ve been shocked at how much of accreditation is about money. It’s kinda sad in a way. What are the next steps of the presidential search? Lee: You first Alphonse. [laughter] This is a very very tough question. The board is struggling with that question; we don’t have a good answer. There’s a couple things we don’t know. We don’t know how long it will take. Heres the dream. The dream is that we would have enough money in five year pledges, so that we could hire a world-class president who wouldn’t have to worry about money from the first day. If we can get the money to do the deal and give a cushion to whoever becomes the leader of the campus, then frankly we’re in good shape. We’ll be able to get a world-class leader. If we cant get the money, then it’s going to be much tougher, cause we’ll be looking for someone who can walk in and somehow find millions of dollars. We’ve been beating the bushes already; its going to be very difficult. The board ProTem is struggling with this exact question, we don’t have agreement about it. Matt: There are two paths. One path would be, we go slow, we hire a president and then everything happens. Or you ramp up and you reach some stability and then you do a search for a president. There are good arguments for either of those strategically, I think that it’s just the fact that we haven’t had enough time together to really think about the strategy of that. Certainly, I know I’ve said this many times, endowing the presidency, or funding the presidency, is something that I hope is attractive to someone among the alums, so that’s making sure that that president knows that he or she is coming into a job that they can do, is really a critical piece. What is a world-class president, any names? Lee: You’re talking to a bureaucrat here, I have no idea. Matt: I know that there is a lot of curiosity about this — no names, not one name has been discussed related to this. Lee: We can’t even agree on — Do we want a scholar? Do we want a manger? Do we want a brilliant fundraiser? The board ProTem is struggling on what that person should look like. 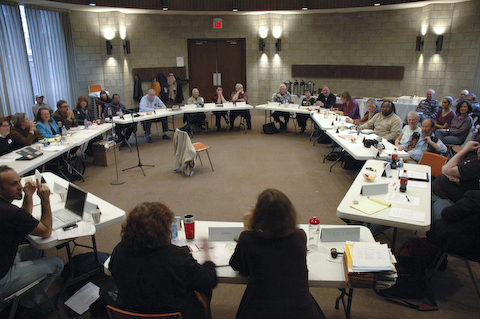 The board ProTem is meeting in Yellow Springs next week, what’s on the agenda? Matt: We’re actually going to make the agenda public today, I just have been traveling all day and I haven’t had the chance to do that, so rather than go through it that there are a lot of different items, i think everyone can just look for it on Antiochians.org. The majority of the sessions are closed because they relate to the definitive agreements. 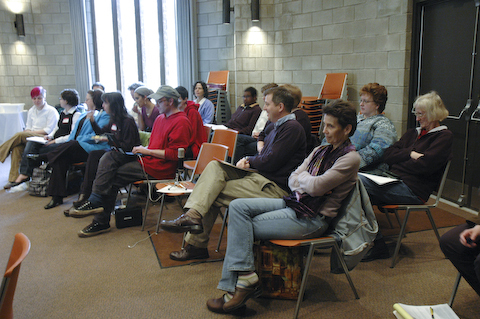 This is an unusual meeting, in that so much of what we’re doing right now relates directly to negotiations with the University and that cant be public but there are sections that are open and in particular the Nonstop Liberal Arts Institute session, which is at the end of the day on Saturday, is open. We’re in the Glen Building, so we hope you can come to that. Will anything be decided in terms of the college reopening year or term? Matt: We would start much more quickly than if the fundraising takes longer. It’s a really pragmatic equation. What is your estimate for the reopening date of an accredited Antioch College? Lee: I’m the optimist and I’m being beaten up. My original date was ’09 – that’s gone. ‘010 was the latest one and people are telling me that that’s unrealistic and that realistically it’s probably 2011. I don’t know – Matt might disagree. Matt: I’m sticking with 2010 because it helps us do the fundraising. Lee: 2010 is what we assumed but I’m hearing pretty respectable voices that say the hiring, the recruiting and rehabbing the buildings is going to take more time than that. Once we get the money, we’ll be ready to rock ‘n roll. By the way, Jeanne, are you the one that called Barbara and Atis and did interviews? Lee: She did a nice job. They were very pleased with the interviews and they thought they were very well done. Rose Pelzl did that, she’s a first year nonstop student and fifth-generation Antiochian. Matt: I was thinking of something of a variation on the question of when the college opens. We’ve had almost two years of struggling, with the University controlling our fate (and yes we still have to get to the end of the definitive agreements) but right now is talking about the future, as far as the president goes, opening the college. Our fate is more and more in our hands around raising funds and if the alumni body wants the college to open in 2010 it has the capacity to make that happen, we just have to do the fundraising as well as we can and not be distracted by all the things that we can be distracted by in the coming months. These are open-ended questions for new reasons. Nonstop, according to Ellen Borgersen, the refunding decision will be taken by the Alumni Board in March. Is that still true or will the ProTem board have a say in it? Matt: That’s news to me. Well, the funding of nonstop is through CRF. Matt: Right, I didn’t know that they were considering something specific at their board meeting. I don’t think that the board ProTem would have much to say about it. So the jurisdiction of Nonstop is still the Alumni Board? So the ProTem Board delegation came to Yellow Springs last week to learn about Nonstop. What are the next steps after the report? Matt: The report will be public it will be up on Antiochians.org this week. Matt: Out of respect we’ll probably give it to the Executive Collective first and then get it out on the web soon thereafter. And then on Saturday Nonstop has a big chunk of time on the boards agenda to come and present whatever they’d like to present. And then (assuming that it’s structured this way) there will be questions and answers after that. But there’s no intention of making any decisions around the future of Nontop that’s an Alumni Board issue. This is an opportunity for the Board ProTem to get to know more about what’s going on in Yellow Springs on a face-to-face basis. In the article by Charlotte Allen you [Lee Morgan] talked about a possible collision course between Nonstop and Antioch can you expand on that? Lee: Charlotte Allen, she’s the right-wing newspaper-lady who called me. Well, I just think that it’s clear that it’s going to be a difficult thing to sort out, the relationship between the two. How’s it going to play out I don’t know. There are timing issues. There are curriculum design issues. There are personnel issues. These are all tough issues and any of those things will be difficult but I don’t have any particular agenda, I just know its going to be tough. That’s my prediction, if I’m wrong that’ll be great. Do you consider that the Nonstop faculty and staff and students of nonstop are Antioch at this point? 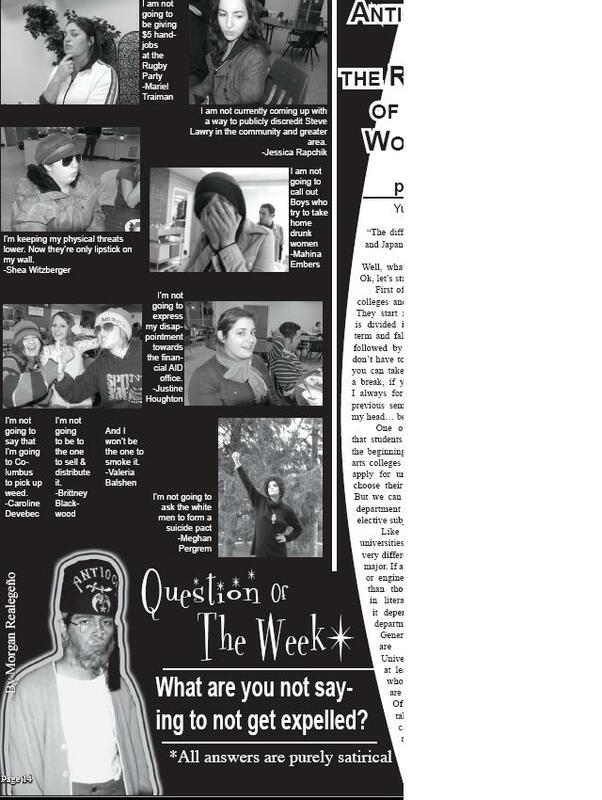 Lee: Are Antioch? I don’t know that anybody is Antioch at this point. I claim to be Antioch. the university claims to be Antioch. Nonstop, I think, claims to be Antioch. The emeritus faculty would claim their Antioch. So i don’t think anybody has an exclusive on Antioch. That’s just my personal view on it. In fact, we have a meeting this week with the emeritus faculty to talk to them about what role they would have going forward. Everyone has their own view of what Antioch is and who they are in relation to Antioch. I think Nonstop has a slightly more intimate involvement because of their recent history. But the recent history’s been such a mess frankly, with the university everyone’s been acting kinda weird. It’s not what you’d call a healthy educational environment. But then to some degree, that’s Antioch. So I don’t know. I think it’s going to be interesting. I don’t know how it’s going to sort itself out. It’s an unfortunate fortunes (?) of what I’d call a fair game. That means i don’t know the answer. Matt, can you talk about Trancil (which has now become the Transition Advisory Group[TAG]) can you talk about their role, how the membership will be decided? Matt: Sure, the membership is intended to be broad-based but the original intention of Trancil, the Transition Advisory Group is that it be Yellow Springs-based. 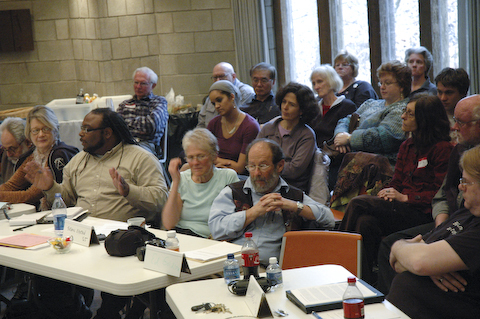 I know there were a few people who were at a greater distance who expressed some interest in serving, but my concept of it is that it would start with a small group advising me about events and issues here in Yellow Springs that it would involve a few members of the Nonstop community, some emeritus faculty and representatives, potentially, even of the village who have an interest in what’s going on. It would be a two-way advisory and communications body. The events last week with main building made it difficult, I actually intended to move that forward but it seemed under the situation of the flooding that it would probably be better to wait so it’ll happen this week. One of this things that’s not necessarily known by everyone is that I meet with Executive Collective weekly and try to come to community meeting bi-weekly and Lee does when he’s in town. 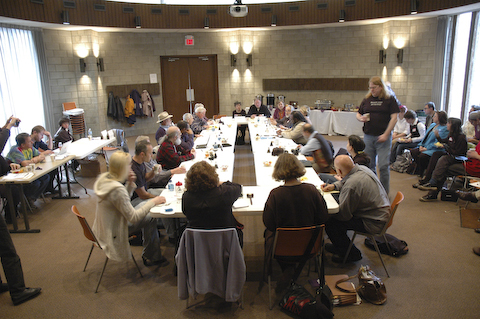 So, the level of communication between the board ProTem and the Nonstop community, Yellow Springs Alums, and emeritus faculty is pretty significant at this point – Yellow springs has got a big voice. The transition advisory group will be a liaison between the ProTem board and Nonstop? Matt: Not Nonstop, no, that actually I think is reserved for the Executive Collective. It’s a group of people who have a vested interest in the future of the college here in Yellow Springs. That’s partly why I changed the name, because Trancil means the college, that’s our history and it’s sort of a silly legacy to convert it Tracil. You’re talking about being focused on the future. Are you sometimes afraid that the argument will turn into a sort of blank slate argument, for which now we can start from scratch and rebuild Antioch in a way that will be very different from its past and that’s not recognizable to its alumni anymore? Lee: If the alumni don’t support it we won’t survive. We have to have the support of the bulk of the alumni. Now, we can’t make everyone happy, I love the Bill Cosby quote, “I don’t about success but I do know about failure; the key is trying to make everybody happy.” We can’t make everybody happy. But the alumni as a group have to support it, otherwise we will not survive. It’s predicated on the alumni support, so if we get so radical that the alumni can’t recognize it, we’re dead, we’re not going anyplace. Everything’s alumni right now. Everything, the ProTem board all the key players everybody’s alumni. All the money, everything has come from the alumni. Matt: You know I think there are two areas where there has been a sort of consistent theme of concern and this is one of them. That somehow the college will not be recognizable to the next generation of Antiochians that are looking for the kind of education that the college was providing the alumni. I think there are some really basic elements to what it means to offer Anitoch education. Experience and work are critical to it, community governance is critical to it. So you look at the bones and the question is what does the flesh on the bones look like? I do think that there’s room for radical reinvention of the college, there has to be. This is a different economic time, this is a different social time and there are opportunities embedded in that. But at the end of the process of defining the concept of the college, it has to be recognizable to all of us as Antioch College. If it doesn’t have that identity then, as Lee’s describing, people won’t support it. Everyone right now involved in this, principally, we are all Antiochians, which you could argue is a strength or a weakness, because we’re blinded by our passion and our love for the college but at the same time we’re really motivated by it. I think at the end people will be pleased by what the college evolves to become because they participated in it and that’s a really big piece of the puzzle for the ProTem board. The reason we’re going out to the chapters meetings and talking about the college is that we really need that feedback in order to understand what we do next. And [that’s] also why the Board ProTem appointed the visiting team to come and talk to nonstop, to try to collect as much conversational input as we can. Lee: We think the insurance company is going to pay. Matt: We hope the insurance company is paying. Has their been a confirmation of this? Lee: I have not had it, no. Matt: We’ve been very judicious about commenting, this is the university’s business. Lee: They’ve been very explicit that we have no standing on the physical plant at this point. We have been arguing that we do and they have been arguing that we don’t. But I think they’re moving more in our direction. They’ve agreed at least to try and keep us informed about things. We find out about this stuff the same way you do. Matt: In the end the ProTem Board has to make a decision about the condition of the campus and whether they’re willing to accept it. Our expectation is that the campus is in the condition it was in when the suspension happened. Matt: I wouldn’t worry about that. Lee: -and everything’s okay but we missed an opportunity to something that would be better. Lee: They won’t do that. Can you try to give an estimation of a time-line as to the main crucial events in which we will know things such as: What will happen to Nonstop? When do we get accreditation? When does the college reopen? When will the curriculum be set? When will we start recruiting students? Can you give an estimation of a time-line? Matt: Which one of those do you want — [laughs] — you’re gonna have to go through them again. Matt: So at the end of 90 days we hope to end up having a definitive agreement with the University for the separation of the college. Shortly thereafter, we’re imagining that we’ll actually take possession of the campus, the keys come out. I don’t know exactly what the legal process piece will take. And there’s obviously the issue of the endowment, which we’ve talked about a lot with the Ohio Attorney General, so there are shades of gray here. So, essentially at the end of that period of time (if the board ProTem is willing to accept the college) then we would have had level of success at fundraising. And the amount of, and the degree of success we’d have fundraising would fuel those other things that you’re outlining. So, if we’re very successful with fundraising then we’re making decisions about reopening in 2010 [and] that means that the curriculum piece needs to be planned sooner than if it’s 2011. Decisions about who’s hired – faculty, staff, administration, president — all those different pieces speed up or slow down depending on what happens with our ability to afford what we want to do. We’ve had this really weighty history of making promises that weren’t backed up by funding; whether it’s curriculum or otherwise, and we just don’t want to do that. So, it’s very difficult I think for Antiochians to hear that the finances are essentially controlling the trajectory of decision making, but responsibly and ethically it has to be that way this time. Lee: There’s one of those calender things that I think may be a problem it’s getting our 501c3 status. It turns out that educational 501c3’s take more time than other types of 501c3’s. They tell me there’s a queue and you just have to wait. And we will try to exercise political clout to see if we can jump the queue but that’s the kind of thing that could cost us 30 days or something, we don’t know. And that’s a condition to close. […]The nonstop piece I’m gonna let Mathew take care of that. Matt: I’m happier doing these interviews in part because there’s been an impression I think for a long time because Lee is the spokesperson and I’m out there talking too, that we’re just working out all of this stuff on our own. […]But as you go through and conduct these interviews and Francis [Horowitz] is overseeing the process for the plan for accreditation she’s looking at variety of things related to accreditation . Allen Feinberg is working on facilities along with Terry Herndon. We have people working on fundraising , we have people working on communications, so it’s a very sophisticated and talented board that’s been assembled and as we move forward with all these little baby steps other people will step forward and we’ll see more people involved. We have good a strategy and a good plan in place to work through all of those steps but some of it is still unknown, because of the finances basically. A lot of it is still unknown. Thank you, I think that’s all but if you’d live to finish by answering what does Antioch mean to you? Matt: Right now, it really is a privilege to do this. I think of Antioch as an incubator and I loved the experience that I had as a student. It was an empowering personal and certainly intellectual experience. But being involved with Antioch now again in my 40’s means being involved in something that could create opportunity for reinvention in higher education. We really have this long tradition of values-oriented secular education that has so much to say about our current situation culturally and economically and otherwise and i think that the college could be a wonderful incubator. This is one of the greatest opportunities in higher education and I’m involved in it. It feels terrific. Nonstop students all apply to that category. Matt: I think that if walked around the Alumni Board and asked them and asked the ProTem Board too, “You got involved initially because of what your heart told you to do. You love’d Antioch and you grieved because this place was so important to your development may not be there for other people. But then once I became engaged in it you started to see that you could do something really important for higher education with Antioch as the vehicle to make that happen.” And I think that that’s why a lot of the ProTem members and a lot of the donors were able to make that additional step, which is to become a member of a board of a college that’s going to struggle for some time and it’s gonna this fair share of difficulties, you don’t do that just out of nostalgia and reminiscence you really have to do it because you think it’s really important for bigger, more broader reasons. Lee: And we’re getting actually broader alumni constituency, people who had not been involved before because they were not interested in perpetuating the past but they are interested in the potential for the future. The other thing that I can mention that Mathew can’t is that Mathew’s been the one who synthesized all the ideas and integrated them into a coherent but pretty radical education program. He’s not allowed to blow his own horn but I can blow it for him. I don’t know that they’re all original thoughts but he has integrated all the ideas from all these strange quarters into what I think is a marvelously compelling vision for the future. So you would say that their is already an articulated plan? Matt: No, I’d say there is an articulated concept. OK, how would you sum up that concept? Matt: Well, it has lots of different pieces to it. the important thing is separate this conversation from conversation about curriculum. Matt: So, a concept that I know has been talked about in some of the chapters and otherwise is the idea that you could complete a undergraduate degree in 3, rather than 4, years. So, it’s that sort of basic understanding of the formation of an education, than it is the curriculum and what’s offered. The sum total of what’s in the plan is about how Antioch reemerges as a place that takes on new ways of looking at the delivery of a liberal arts education. We’re committed to small size, we’re committed to liberal arts, we’re committed to tenure, we’re committed to all those pieces but shouldn’t we be the first liberal arts college that acknowledges, that in fact, a majority of students going into American higher education in the next generation are likely to be African American and Latino non-white communities. And how do you create a college that addressees that seismic shift in American education population? How do you look at cost of education? The 3-years is one way of doing that, by going year-round students would cut down on the number of years they would be enrolled. But also looking at the way financial aid is structured and the way tuition discounting is structured and thinking about ways you actually pull down the whole cost of the education from the very beginning, rather than discounting. So, there are a number of things in this concept-paper that I think would help guide the development of curriculum but it’s not a curriculum in and of itself. I mentioned diversity but also mention that in vast majority of countries an undergraduate degree is 3 years. The United States is out of step with the rest of the world, and I’m starting to see this as a way of Antioch embracing the metric system in joining the rest of the world in thinking “actually it’s a 3 year experience.” Ours includes summer and ours includes work and international work assuming that students would not only work in the united states but work overseas, things along those lines. To really make it not just an American school that’s international but a truly global college. Matt: One of the plans is to take the concept paper as it exists now and reduce it into a pointer set of standings and then share that more broadly and everybody wants to do that. There’s some people on the board ProTem who feel that it has some value to sort of as a key statement for fundraisng or that it has some value and we don’t want them stealing our ideas, that’s another element of it. But mostly, I think, if I go right to the base of some of the concern, it was concern that people would think that this was a plan and it’s not. A plan takes process and a plan takes participation and it’s much broader in scope. This is a really great set of concepts. But you have been using it for fundraising? Matt: Yes. Yeah, we have. Because there have been (and I know Risa has been saying this for a very long time) many, many people, potential donors who would say, “Come back when you have a plan, come back when you have a business plan.” And we’ve been unable to address that because of good process that we wanted to have within our community and also the sort of Catch-22 we were in with the University. That’s done now, so we have a concept, we have a basic business plan. Those are not likely to end up being the final concept or strategic plan and it’s not likely end up being the final budget but we have an understanding of how we could rebuild the college financially and that there are good ideas that are innovative and radical, that fit within the context of a college that’s identifiable as Antioch College. Has the ProTem Board vetted the business plan and the concept-paper? Matt: Only for it’s original use which was to separate the college from the university so the only original mailing went to all the University Board members, through the chancellor’s office. And then once the agreement was signed (the LOI) there were a lot of board members who were very excited about it and others, obviously this was endorsed not only by the board ProTem but the Great Lakes College Association. So with the GLCA stamp of approval we were able to show it to some donors as well. OK, well thank you very much for your time. Lee: You were well prepared, you did a good job.